If you’re a Mac user then you’d already know that Apple’s computers aren’t really known for their gaming prowess. Similarly priced Windows PCs have far better gaming performance and therefore Windows users have access to many more games. However, that doesn’t mean our Mac using brethren will have to invest in a Windows PC in order to play games. Quite a few popular games for Windows have now been ported to macOS and Mac users even have a ton of great free titles to jumpstart their gaming journey. So, if you’re a Mac user who’s been meaning to delve into the vast world of gaming then you’ve come to the right place. We’ve curated a list of the 15 best free Mac games, spanning across various genres, that you should try before investing in more premium titles. Unless you’ve been living under a rock for the last year or so, then you’ve probably already heard of Fortnite, the battle royale sensation that has taken almost all popular streaming platforms. 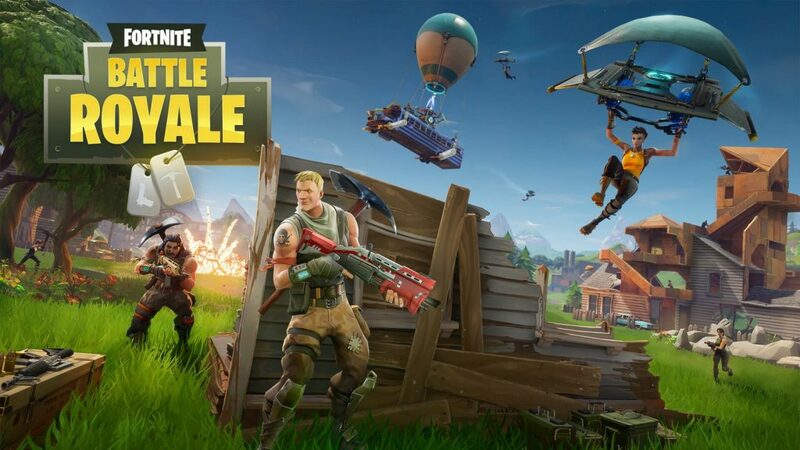 Developed by Epic games, Fortnite Battle Royale takes you in a flying bus to a giant map where you’ll have to find weapons, collect resources and fight 99 other players to become the last man standing. The game is quite demanding and requires a specific API, so you won’t be able to play on any old MacBook. The game requires Macs that support the Metal API and are running macOS 10.12.6 or above. Minimum system requirements for Fortnite Battle Royale include a 2.4GHz Intel Core i3 processor, 4GB of RAM and Intel HD 4000 graphics card. Even if you have that configuration, don’t expect the game to run as well as it would run on a gaming laptop. But if you’re planning to game on a Mac, you’ll have to make that compromise. Hi-Rez Studios’ Paladins is a nearly identical Overwatch clone which is available on macOS. The game, much like Blizzard’s Overwatch, allows players to choose a champion which are divided into four categories – front line, damage, support and flank – and play with their friends to take down the enemy team. The game has three different game modes and a large champion pool, boasting of a variety of champions with vastly different abilities and play styles. Along with the first-person shooter elements, the game lays a whole lot of importance on team play and strategy, with each match a little bit different than the previous. Much like Fortnite, Palandins is also a rather demanding game and won’t run on low-end machines. 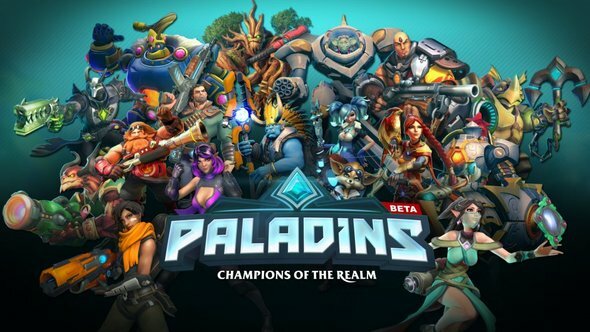 Minimum requirements for Paladins on Mac include OS X 10.10 or above, an Intel Core 2 Duo 2.4GHz processor, 2GB of RAM and a dedicated graphics card with 512MB of VRAM and Shader Model 3.0+ support. 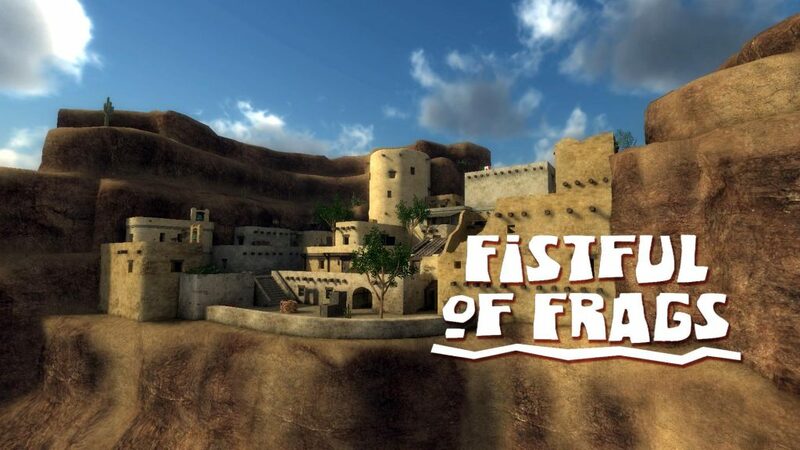 Fistful of Frags is another great first-person shooter for Macs which is based in the American Wild West. Although the game doesn’t look very impressive, compared to modern FPS titles, it pays a lot of attention to combat mechanics which makes it quite challenging and fun to play. The games features a number of modes, including several single player challenges and multiplayer modes. Multiplayer modes include a fast-paced battle royale mode, a team-based death match, a team elimination mode and a 1v1 dual mode. Unlike +modern FPS titles, which feature modern weapons, Fistful of Frags features historical black gunpowder based weapons such as the Colt Peacemaker, S&W Schofield, Volcanic Pistol, Sharps Rifle, etc. In order to run the game, you’ll need a Mac running OS X 10.7.x or above, a dual core Intel processor, at least 1GB of RAM and an Intel HD 3000 GPU or higher. This means that you’ll be able to run the game on pretty much any machine as long as it’s from 2016 or later. 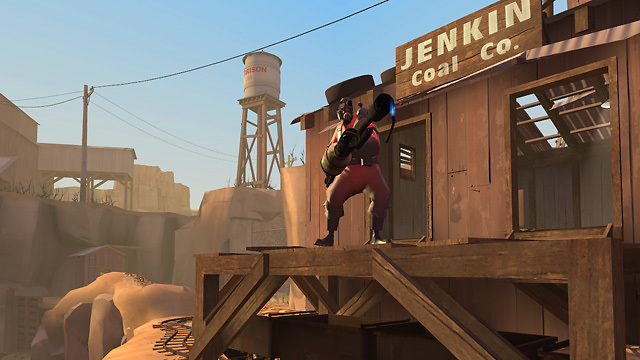 Team Fortress 2 is an evergreen title which, albeit a little dated, is still a whole lot of fun. The games features cartoon-styled graphics and players get to choose from 9 different classes of characters. The classes are further divided into three groups, including the Offense group, the Support group and the Defense group. Developed by Valve, the game is just too damn entertaining and it’s definitely worth a shot if you haven’t tried it out already. Team Fortress 2 has a variety of game modes, including Capture the Flag and King of the Hill, which you can enjoy with your friends or play with random people online. 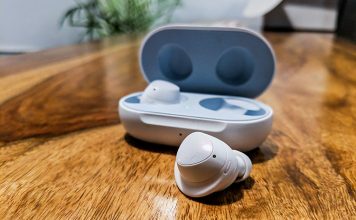 In order to run the game, you’ll need a device running OS X version 10.5.8 or above, with at least a 1.7GHz processor, 1GB of RAM and Intel HD 3000 graphics or higher. Possibly the world’s most played game in the world, League of Legends is a multiplayer online battle arena game in which two teams of 5 players play against each other to take down the other team’s nexus. The game boasts of an insane champion pool, with over 137 champions, each of which have different abilities and play styles. The champions are divided into five primary categories, including marksman, mage, support, tank and fighter, each of which have different roles in the game. Since the game has a number of different champions and a ton of items, it has a steep learning curve, but if you find someone to help you out or watch a few YouTube videos about the game, you can get a decent head start over other newbies. The games has a number of different maps and game modes, however, the primary objective remains the same in each mode – destroy the enemy nexus. 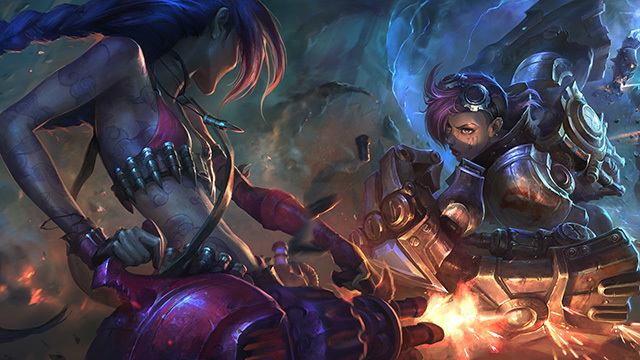 Riot Games, the developer, invests a lot of time and effort to constantly update the game and introduce new champions and rotating game modes, so you’ll surely never get bored. In order to run the game, you’ll require a Mac running OS X 10.8.5 or higher, with a 2GHz processor, at least 2GB of RAM, and an Nvidia GeForce 8600M GT or better GPU. 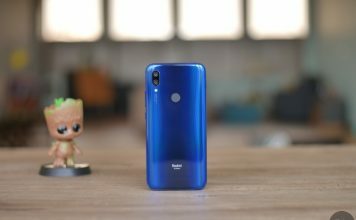 The game manages to run on Intel HD graphics as well, but the experience won’t be as good as you’d expect. 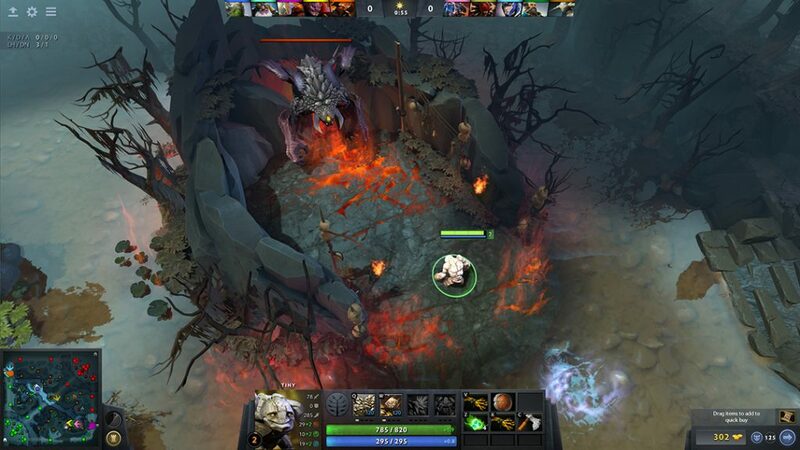 DOTA 2 is another popular multiplayer online battle arena game which, in essence, is a lot like League of Legends. The sole objective remains the same, destroying the enemy’s base, with the most important structure being the Ancient instead of the nexus. You can choose from over a hundred unique heroes with different play styles and once again, the game has a major learning curve to it. Unlike League of Legends, however, all heroes a free to play from the beginning and you don’t have to grind for in-game currency to buy new heroes. DOTA 2 is also constantly updated which keeps it interesting for both new and old players alike. In order to run DOTA 2, you’ll need a system running OS X Mavericks 10.9 or newer, with at least a dual core processor from Intel, 4GB of RAM, and Intel HD 3000 graphics or higher. For both League of Legends and DOTA 2 you’ll also need a fairly stable internet connection because both the games are quite fast paced and split-second reactions go a long way in swaying the outcomes of matches. 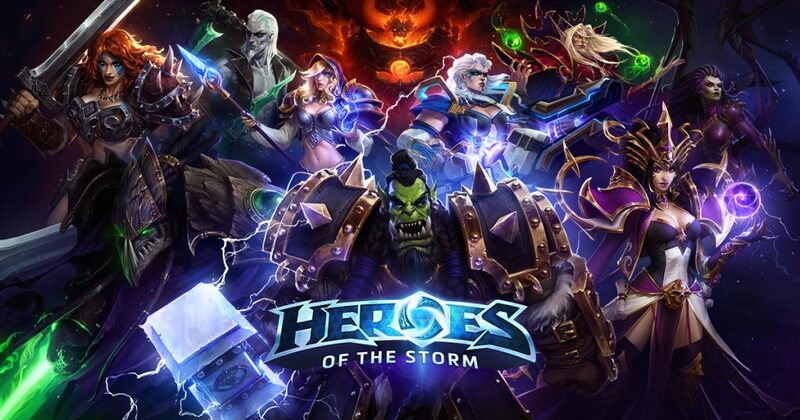 Heroes of the Storm is Blizzard’s answer to League of Legends and DOTA 2, with similar game mechanics and objectives. However, while League of Legends and DOTA 2 have a top-down perspective of the maps, Heroes of the Storm has a slightly different perspective, which gives a unique feel. Otherwise, the game follows pretty much the same basic tenets of a MOBA – choose a champion, play along with your team and destroy the enemy base. The game has a variety of heroes with unique abilities and roles that you can control to take down the enemy. Heroes of the Storm is also updated constantly, with Blizzard introducing new content and events to keep players hooked. If you wish to run Heroes of the Storm on your Mac, you’ll require a device running OS X 10.9.x or newer, at least an Intel Core 2 Duo processor, an Nvidia GeForce 330M or better and 4GB of RAM. 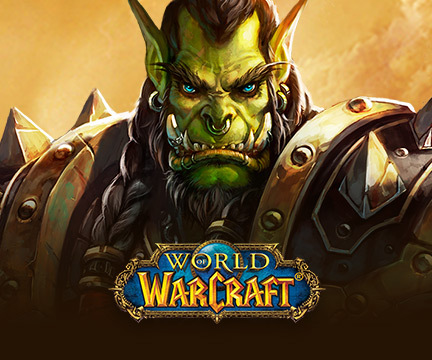 Another title from Blizzard that has made it to the list is the much acclaimed World of Warcraft. The game, which boasts of one of the largest virtual open worlds ever created, is probably one of the most addictive games I’ve ever played. Players get to choose characters from a variety of classes and races which are divided between two warring factions, the Alliance or the Horde. Each class has its own specific play style and each race that qualifies for the class brings with it some of its own unique passives, giving players a variety of different ways in which they can choose to play the game. The game has immersive PvP and PvE elements, in which you can choose to fight alongside your faction to take down players from the other faction or join a guild to take down massive mythic monsters scattered around the large open world. The game is very engaging and has a amazing story line which makes progressing in the game rewarding and entertaining. While World of Warcraft ins’t completely free, you can play the first twenty levels of the game for free which will give you a fair idea about the game’s mechanics. In case you like the game, you can choose to pay a small fee and continue playing past level 20. To run the game on your Mac, you’ll require a system running OS X 10.12, powered by an Intel Core i5-750M or better coupled with an Intel HD 530 or better, and at least 4GB of RAM. Since the game is so massive, you’ll also need at least 70GB of free space on your system. 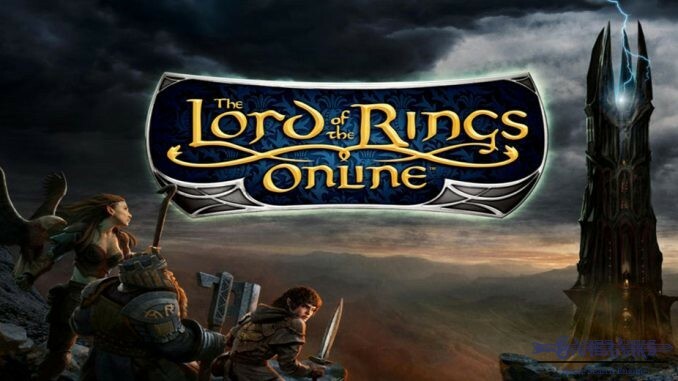 Another great MMO which follows the storyline of the epic Lord of the Rings saga is, you guessed it, Lord of the Rings Online. The game, which is developed by Turbine, is perfect for fans of the LOTR franchise and takes the player on an amazing journey across Middle-Earth. Pretty much everything about the game is free and the game doesn’t offer a pay to win mechanic, but it does hide some premium features behind a small fee, which is quite justifiable since it offers so much for free. The game is pretty much like every role-playing game out there, you pick up a character and go on an adventure across Middle-Earth taking down enemies and making some friends in the process. In order to run the game on your Mac, you’ll need to be running OS X 10.7.5 or newer, powered by an Intel Core i5 processor, at least 2GB of RAM and Intel HD 3000 graphics or better. The game will also require at least 25GB of free hard drive space for installation. 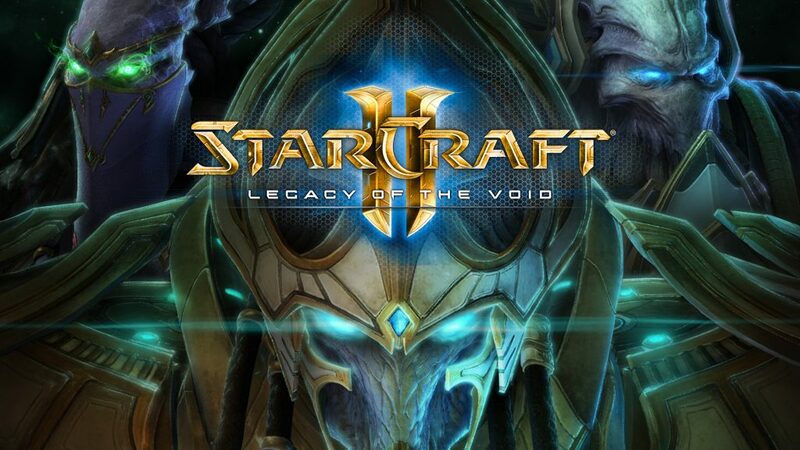 If you like strategy games more than anything else, then you’d probably enjoy Starcraft II. Another one of Blizzard’s highly-acclaimed titles, Starcraft II is a military science fiction based real-time strategy game in which players wage an intergalactic war. The game has an epic story campaign, one of the best multiplayer modes in the genre and collaborative co-op missions. While the game isn’t completely free, its Wings of Liberty campaign is completely free and will give you a fair idea of the game. Once you get a hang of the game in the campaign, you can also play unranked matches against opponents or take down AI without paying a dime. You can even unlock ranked mode by completing 10 first wins of the day in unraked or versus AI, which is a small price to pay for so much free content. On top of that, the game also offers three commander for free in their entirety, with all other commanders available for free up till level 5. To run the game you’ll require a system running OS X 10.11, an Intel Core 2 Duo processor, an Nvidia GeForce GT 330M or better, 4GB of RAM and you’ll require 30GB of free space on your hard drive. Developed by Wildfire Games, 0 A.D is a free and open-source real-time strategy title which focuses on a historical war much like Age of Empires. In fact, the game initially began as a total conversion mod concept for Age of Empires II: The Age of Kings and then took its own path to become a completely independent title. As you’d expect, the gameplay is quite a lot like Age of Empires, with players training an army and undertaking technology and combat research to take down opponents. 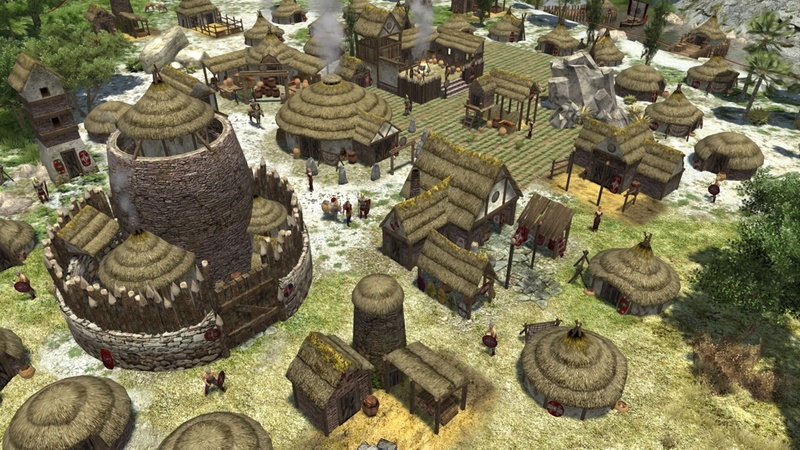 0 A.D. offers both single player and multiplayer modes. In the single player mode, players take down AI-controlled enemies, while in multiplayer mode you’ll be facing other players in real-time combat. The game offers a total of thirteen ancient civilizations which have their own progression tree, their own unique armies and different play styles. What’s really great that the game will run on any Mac purchased after 2006, all it requires is for you to be running OS X 10.8 or later. 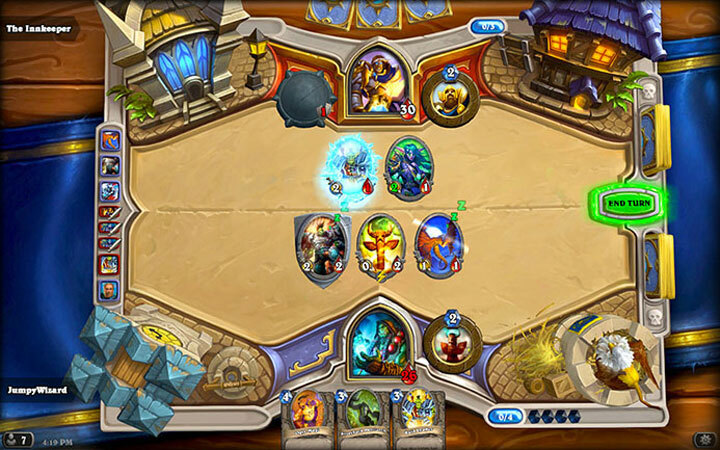 If you’re a fan of card-based strategy game then you should definitely give Hearthstone a shot. The game, which features cards based on characters from the World of Warcraft universe, has been developed by Blizzard and supports cross-platform play. Much like other card-based strategy games, the game utilizes a turn-based mechanism in which two opponents compete with each other using their decks of 30 cards along with a selected hero. Unlike other Blizzard games on this list, which are free to a certain extent, Hearthstone is completely free on all platforms and you can easily transition between your Windows, Mac, iOS or Android device using the same profile. The game features cards that are based on a total of 9 classes and all classes have their own unique cards and abilities. It’s honestly a whole lot of fun and if you’ve ever played a card-based game before you’ll feel right at home with Hearthstone. In order to run the game you’ll require a system running OS X 10.10 or newer, powered by at least an Intel Core 2 Duo processor, an Nvidia GeForce 8600M GT graphics card or better, at least 2GB of RAM and a decent internet connection. 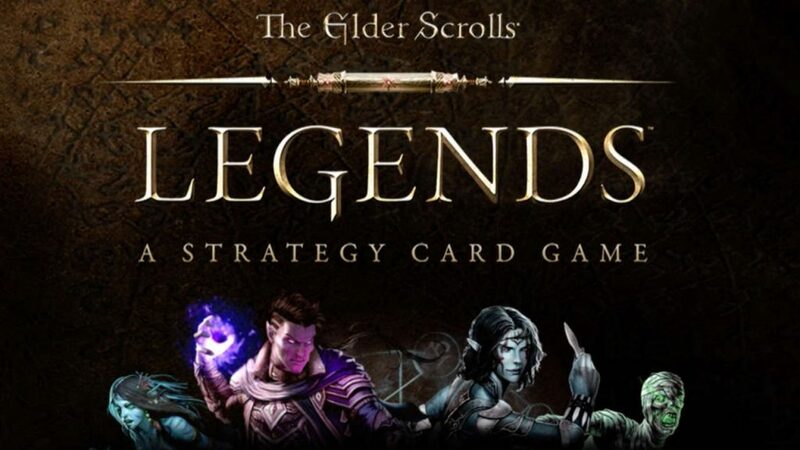 Much like Hearthstone, The Elder Scrolls: Legends is also a card-based strategy game which follows the same underlying mechanic of other 1v1 turn-based card games. However, unlike Hearthstone, which is based on characters from the World of Warcraft universe, The Elder Scrolls: Legends is based on characters from the Elder Scroll universe. So if you’re a fan of any Elder Scrolls game, you’ll be familiar with most of the cards in game. The game is completely free to play, but offers some in-app purchases and a trading system which will allow you to get a better deck of cards more quickly. It offers several game modes, allowing players to play on their own against an AI or play against other players in real-time. In order to run the game you’ll require a system running OS X 10.8 or later, powered by an Intel Core 2 Duo processor coupled with 2GB of RAM and an Nvidial GeForce 8600M GT graphics card or better. 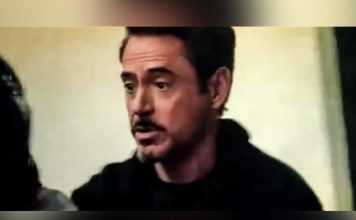 You’ll also need a decent internet connection so that you don’t lose any multiplayer games because of random disconnecting or lag. 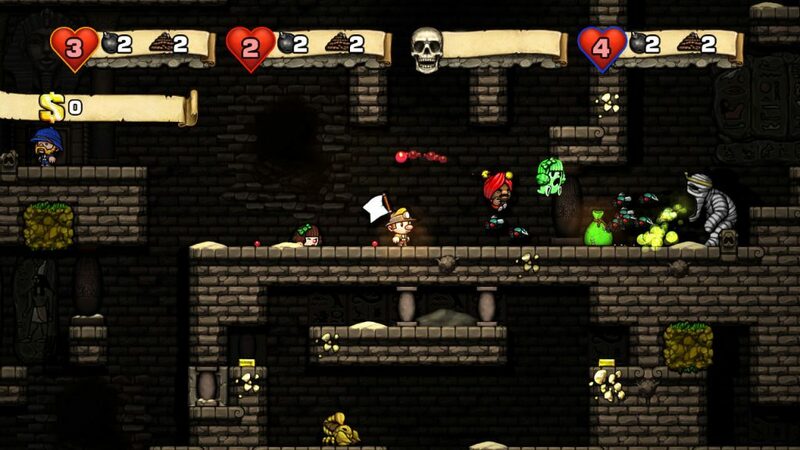 If all of the aforementioned games seem a bit too intense for your taste, then you can play Spelunky – a free to play indie-adventure game in which you’ll control an unnamed adventurer/explorer known as the Spelunker and explore the underground tunnels to gather all the treasure you can lay your hands on. While it may sound a bit too easy, the game has a number of traps and enemies which you’ll have to take down while hunting for the treasure. All the levels are randomly generated so the game remains interesting for a long time, however, it may get a bit frustrating as you’ll have to begin from scratch every time you die in a level. Thanks to its old-school design, the game barely requires any processing power to run, which means that it can easily run on older Mac devices. The game is completely free from start to finish, with no hidden charges whatsoever. Another great game for casual gamers which will keep you entertained for quite a while is OLDTV. 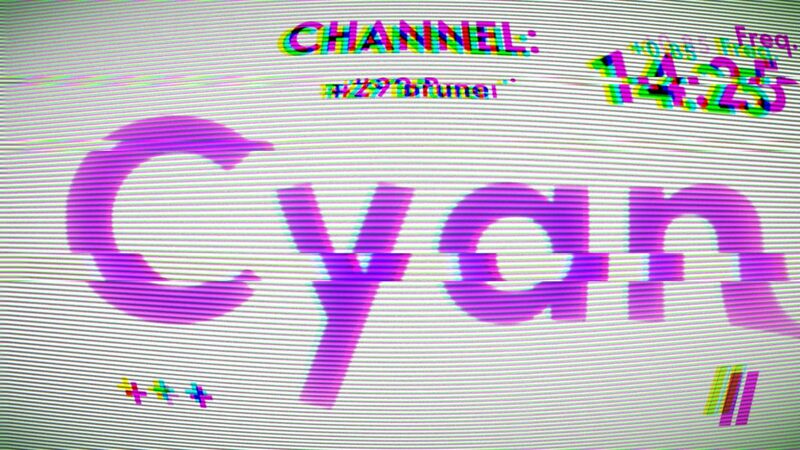 The game has a very simple backdrop – you play as a gifted child who switches through every channel on an old TV. The game tests your focus and mental ability, providing challenges one after the other. Since the game primarily requires players to solve a bunch of puzzles, I’m not going to spoil it by going too much into details, but I’d highly recommend it to everyone who likes a decent challenge from time to time. 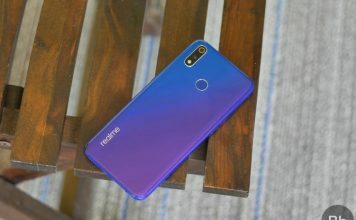 However, since the game has a lot of flashing screens and the gameplay depends on a player’s ability to differentiate colors, it isn’t recommended for anyone who’s prone to epilepsy or any form of color blindness. In order to run the game you’ll require a system running OS X 10.7 or higher, with at least a 1.80GHz processor, 2GB of RAM and any video card with 512MB of VRAM. Well, that rounds up our list of the 15 best Mac games you should try. You can choose one (or more) of the aforementioned games depending on the genres you like or you could give each of them a shot and find out which one suits your fancy. Do let us know if you fall in love with any of the aforementioned games and make sure you drop a comment letting us know in case we’ve missed out a title that you really like.